Both as a travel writer and a traveler I have stayed in many hotels and none provides better service than the Jefferson. Everyone on the staff went out of their way. Special compliments to Jeanita, a concierge, who had excellent advice, arranged our free transportation from the hotel, and was wonderful to our two granddaughters. 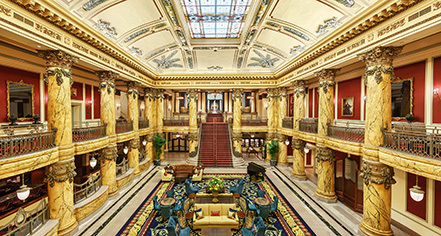 The hotel lobby is breathtaking and a recent renovation (and a reduction in the number of rooms to 190) resulted in rooms that are luxurious and spacious, with spa-like bathrooms. We ate lunch at TJs and the waitstaff offered an off-menu item for my notoriously picky 8 year old. I lived in Richmond forty years ago and the city has changed radically for the better. 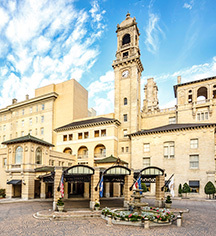 The Jefferson Hotel is the perfect place to stay to see the city for the first time or to return to explore a new, hipper Richmond. We stopped for four days and had a wonderful stay. One room was close to the lift so they moved us to another room. Concierge was very helpful. The gym and pool was good! Overall a great stay and would recommend it. The Jefferson sets the bar high--Best of the best! The Jefferson is a Grand Dame. Beautifully maintained, although this is an iconic historical hotel, the rooms are remodeled and have modern amenities. The staff is exceptional in caring for their guests. The concierge folks are so knowledgeable and provided a wealth of things to do. I highly recommend Lemaire restaurant which matches in excellence. We plan to make this a regular stop when visiting we fly into to Richmond to visit family. Can't wait to return! I had a small suite that included a Nespresso machine, 2 TVs - one embedded into the mirror in the bathroom, a very comfortable king bed and many other niceties. The staff were more than helpful and the cleaning of my room exceeded expectations (even folded up my charging cords). The fitness center is above average. Food was good but on the pricer side. Will definitely stay here again on my next visit. Yes, the Jefferson is an icon. Yes, it's got that great restaurant and yes the marble floors and beautiful, but is ambiance worth two bills, minimum, a night? Rooms are tiny. Look walk from the main lobby. Overall, just really underwhelmed.